An action-packed trip awaits students who embark on this very special sports itinerary across China. Playing competitive and friendly matches with local clubs & schools, learning Chinese Kungfu, watching a live sports event in futuristic Shanghai, and an epic trek on the Great Wall guarantee a variety of vigorous activities for students. Also included in the trip are the most iconic sights and sounds of China. We traverse from China’s modern political capital: Beijing, to its ancient one: Xian, then to its richest economic capital: Shanghai. Arrive and transfer into the city. After checking in, students will be given a trip briefing about what to expect during their time in China. We finish off the afternoon by going to a traditional Chinese meal. We start the day with some culture. 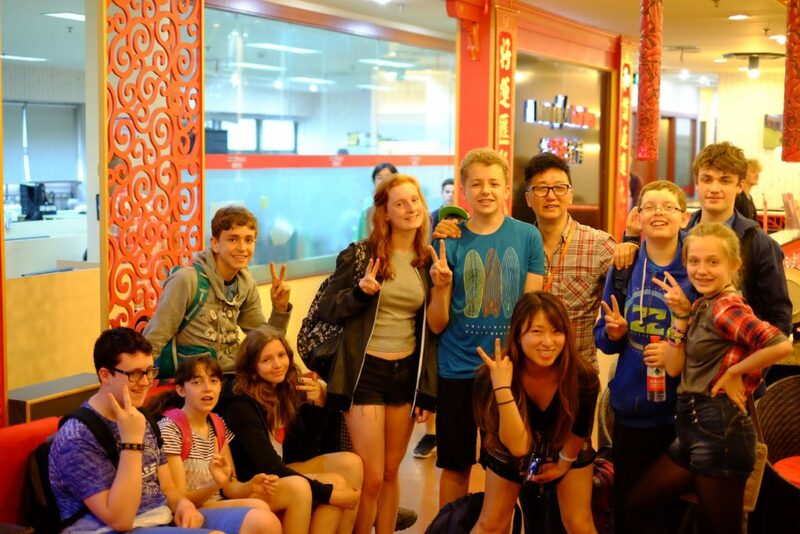 Students will be led on a guided tour through Beijing’s Hutongs – the old alleyways that have served as local neighbourhoods since the 1200s. Then, we move to the Lama Temple, Beijing’s most iconic bastion of Tibetan Buddhism. In the afternoon, we will visit a Sports Club tailored to your requests (already know what kind of sport you’d like to practice? Tell our specialist now). Students will be introduced to the business and participate in some drills and play in a friendly match, or, practice together with the local team. We finish the day off with a hearty feast of Roast Peking Duck. In the morning, we go back in time as we travel to a secluded and incredibly beautiful section of the Great Wall while avoiding the crowds. Students will go on a short morning hike for few hours. After stopping for lunch and catching our breath, we head back to the Sports Club for a second session of drills and a final contest of skills. The first activity today is a Kungfu lesson in a local spot popular with Tai chi practitioners. After an intense morning, students will relax with some culture: We visit Tiananmen Square, the Forbidden City, and Jingshan Park for a panoramic view of no less than three Unesco World Heritage sites. Following this, we catch the night train to our next stop, the Ancient World’s trade capital and mother of the Silk Road; Xi’an. Day 6: Run/Bike around the City! 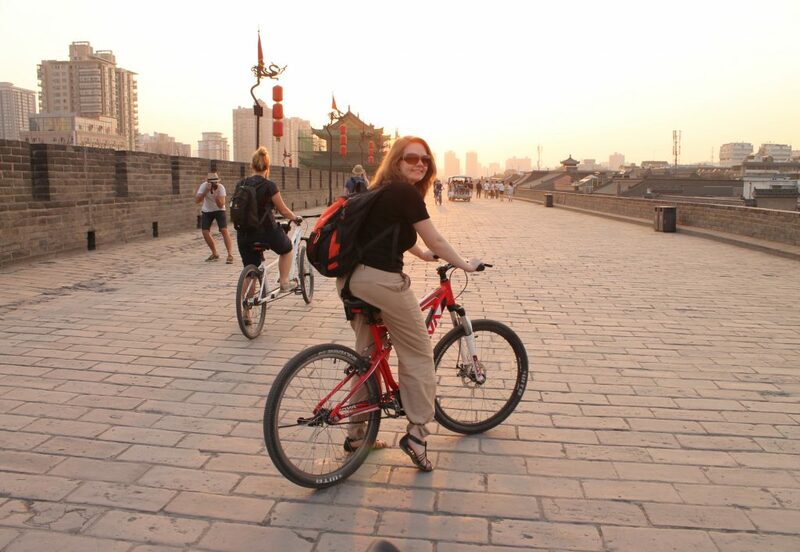 The morning starts with Xi’an’s absolute must-do; the bike ride around the top of Xi’an’s ancient City Walls (Want to run on the walls instead? Ask our specialist about arranging this). They are China’s best-preserved city fortifications and an excellent way to compare and contrast the old historic city with the soaring skyscrapers of modern Xi’an. We then head to the Shaanxi National Museum; one of China’s most impressive museums as well as home to fossilised remains of the Lantian Man (oldest remains of Homo Erectus). We finish the day at the Great Wild Goose Pagoda: deemed a UNESCO World Heritage Site for its religious and architectural significance. Finally, we say goodbye to Xi’an and board the night train to Shanghai.